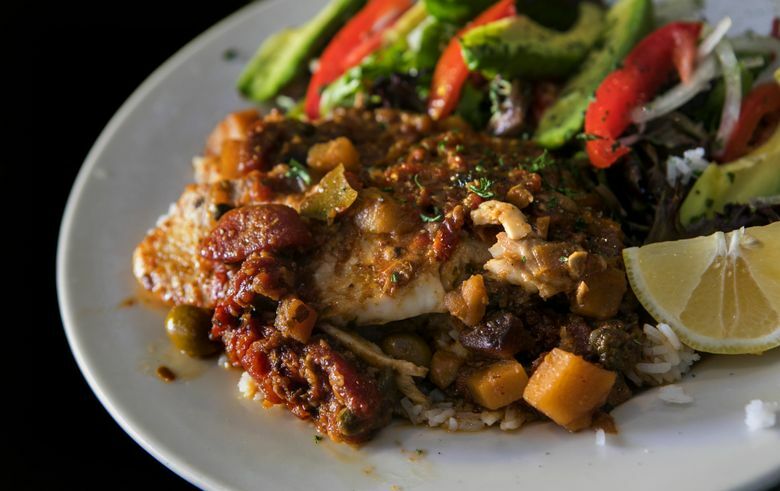 Warmth radiates from the authentic food, personal hospitality and generous spirt inside the sunshiny-bright Latin American and Cuban restaurant. 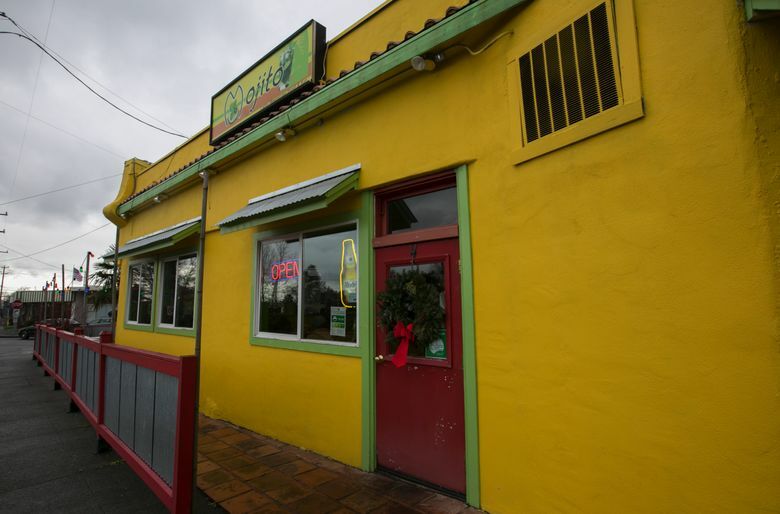 IF YOU’VE DRIVEN north on Lake City Way from Interstate 5, you’ve probably seen the top of the Latin American and Cuban restaurant Mojito behind a blackberry-cane-covered chain-link fence. It’s painted such a bright sunshine-yellow that it practically glows. 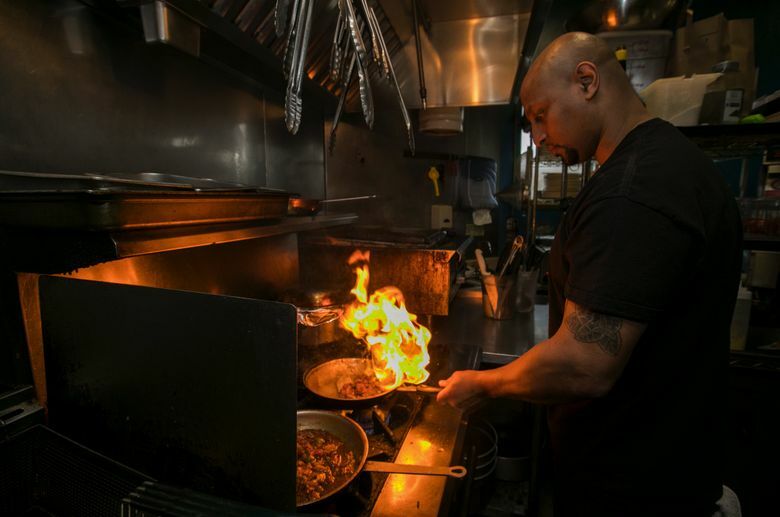 But the warmth it radiates comes from inside, where owner Luam Wersom somehow manages to make every customer feel like his favorite, despite the fact that the place is almost always packed. The food at Mojito is so authentic that Wersom caters for the Latin players on visiting baseball teams when they come to play the Mariners. But Wersom isn’t Latin American, although he does speak Spanish. He was born in Ethiopia (he also speaks Amharic) to Eritrean parents (he speaks Tigrinya, too), and spent four years in a refugee camp in Greece (where he learned to speak Greek) on his way to the United States. 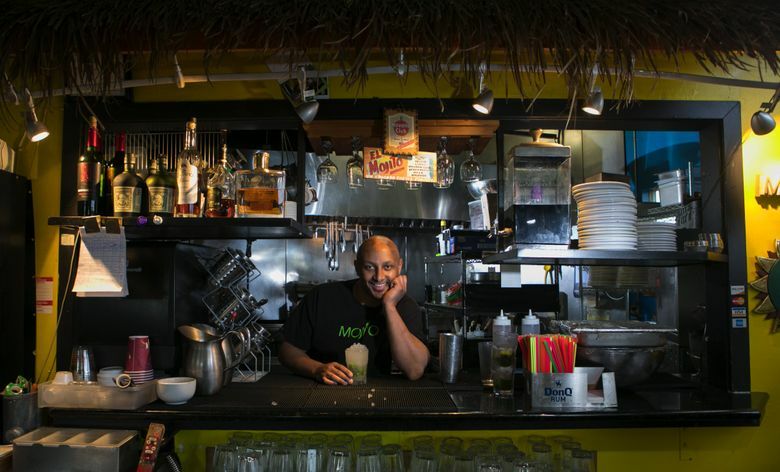 Every Sunday, he makes Sancocho, a rich, vegetable-laden oxtail and chicken soup. “Everyone says, ‘Save me one, save me one,’ and I will sell 50 bowls, and I haven’t made the soup yet,” he says. 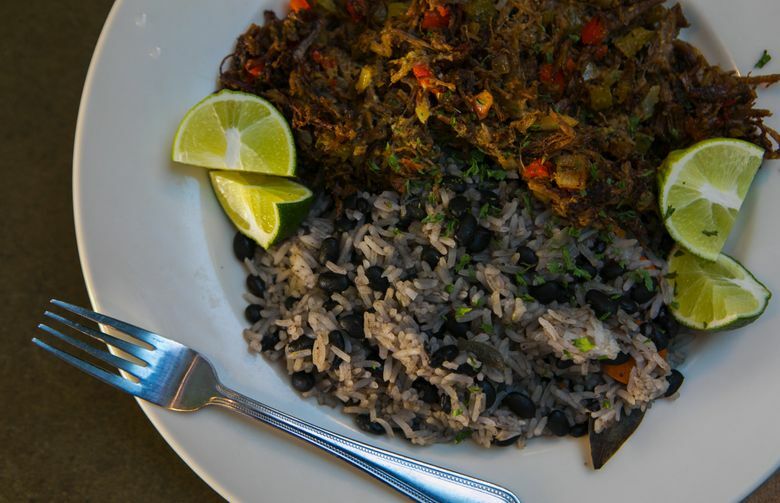 His menu includes Venezuelan Pabellon (a shredded beef and tomato dish), Tortilla Española, grilled Pollo a la Parilla and Congri (Cuban rice and beans). 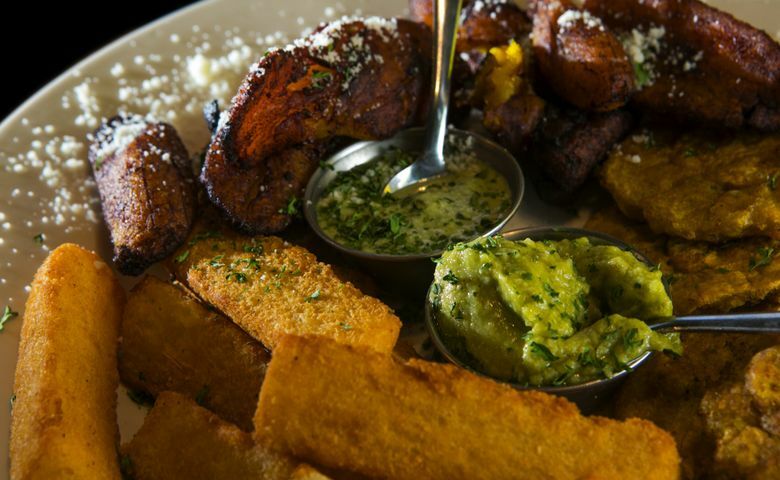 My favorite, Vaca Frita, was introduced because Wersom once had a waitress from Cuba, and her father wanted the dish so much, he bought Wersom cookbooks. Wersom radiates gratitude when he talks about Seattle, his wife and daughter, his siblings and his parents. 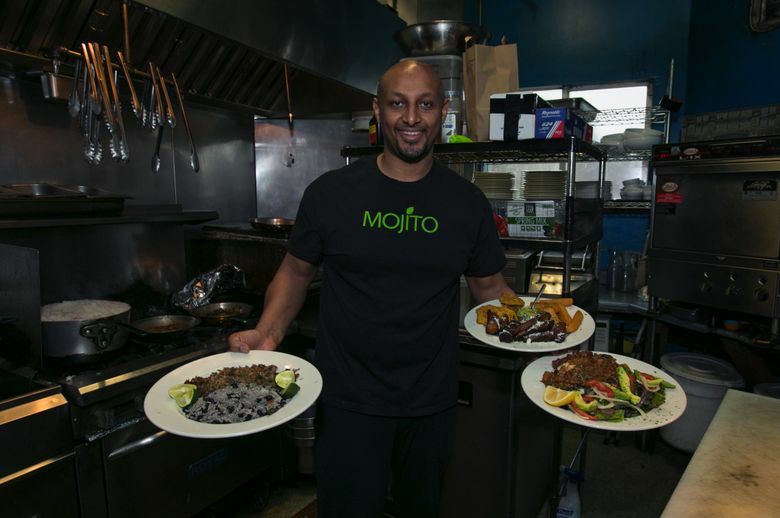 He easily credits the restaurant’s success to his customers, neighbors, friends, employees, co-workers and even his landlord (“He’s been a blessing to me,” he says). As he’s learned to run the whole business on his own, he has relied on help and advice from many people, and it’s clear he takes nothing for granted and feels lucky to be part of such a supportive community. If that’s not a saying, it should be. Ellen M. Banner is a Seattle Times staff photographer.